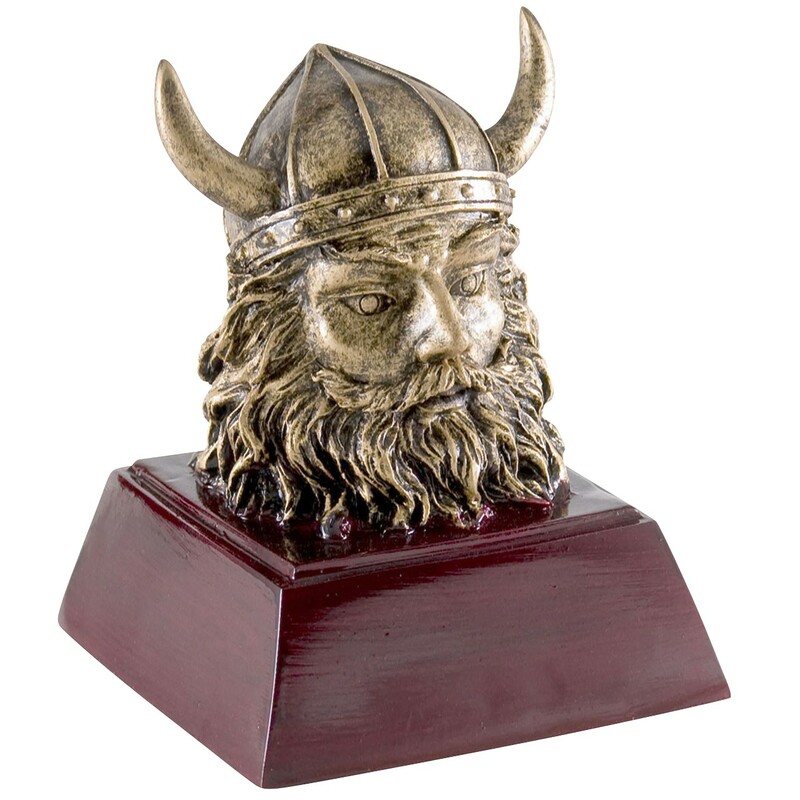 Present this fearsome resin viking trophy to your outstanding viking for a memorable award! They feature a detailed gold viking head complete with helmet on a lustrous rosewood colored base. Gold lettering on a black brass plate makes the Resin Viking Trophy a definite crowd pleaser suitable for all school recognition awards!